Industri-Teknik Bengt Fridh AB designs and manufactures heat recovery systems, they can be independent as well as integrated with our furnaces and purification systems. 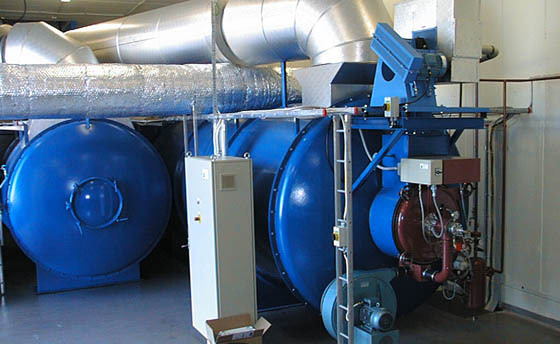 We manufacture heat recovery systems for preheating of combustion air and/or process gases. 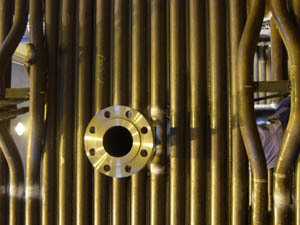 If its more feasible to produce hot water, thermo oil or steam we integrate a boiler into the system. 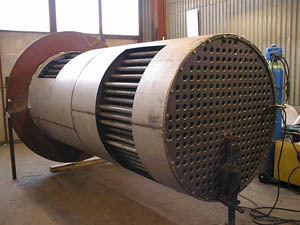 Heat exchanger for process gases from a vulcanizer process where the hot side is gases from a incinerator where the flammable components have been oxidized at approximately 850 °C. The process gas flow is approximately 9000 nm3/h and the gas is heated from approximately 50 °C to 465 °C. Steam boiler which recover heat from a purification plant with thermal destruction. The gas flow is approximately 21000 nm3/h. At the boiler inlet the temperature is approximately 1000 ºC and at the outlet approximately 300 ºC. The steam production is maximum 12 ton/h at 41 bar.